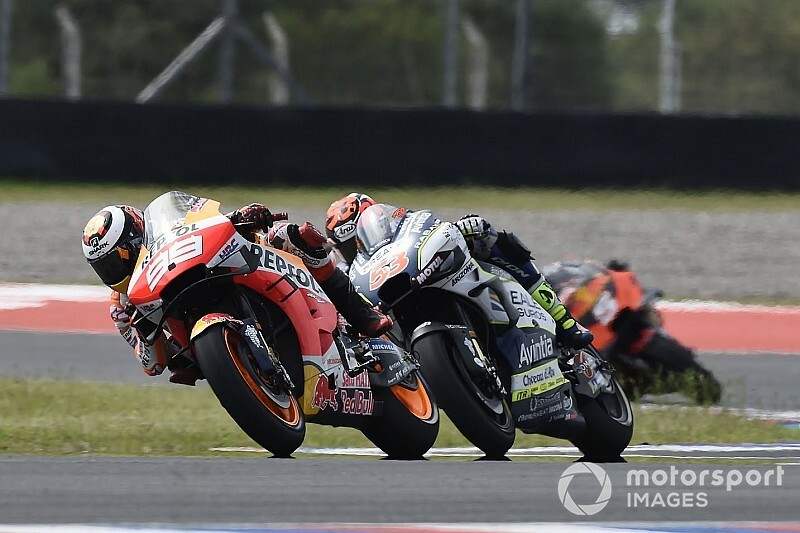 Honda rider Jorge Lorenzo says the reason he dropped to the back of the field at the start of MotoGP's Argentina Grand Prix was that he accidentally engaged the pit limiter. After qualifying in 12th for his second race as a Honda rider, Lorenzo plummeted to 21st on the opening lap at Termas de Rio Hondo. 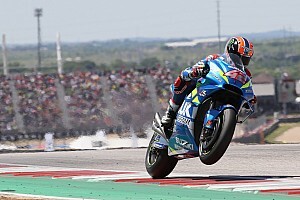 He eventually fought back to finish in 12th place, albeit gaining two places on the last lap when Maverick Vinales and Franco Morbidelli came to blows and crashed out. As well as revealing the cause for his sluggish getaway, Lorenzo said he was further hampered by a disintegrating rubber grip on his left handlebar during what he described as a "nightmare" race. "Here with the pit limiter, that looks like I pressed it unconsciously because I remember just pressing the start procedure button," Lorenzo recalled. "Suddenly the bike, the rpm goes down like [it had] no fuel and I didn't know what was going on, but looks like the button of the pit start was on and the bike didn't go, so everyone overtook me, I was last position again like in Qatar. "When I started to recover positions, I felt I was missing some rubber in the handlebar in the left, was coming out, out, out and I was with no rubber in my left hand. So no grip at all, everything bad. "Very difficult race to recover positions, also the track grip was very bad after Moto2 race and with hotter conditions, so it was like a nightmare. "Hopefully in the future these kinds of strange things and unlucky things will not happen again." 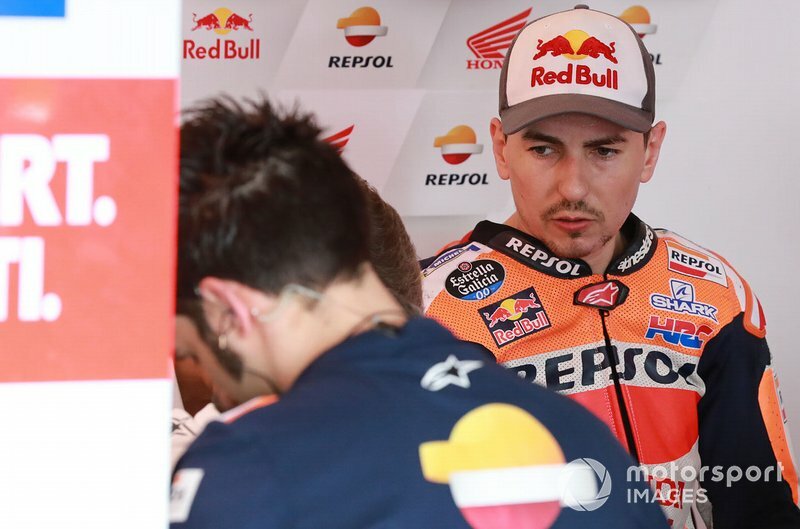 Lorenzo admitted his issues have left him looking like he is making "excuses" for his tough start to life as a Repsol Honda rider. 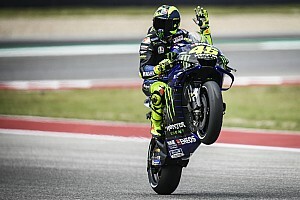 "I was very happy in the warm-up because we tried something in the bike that improved a lot my feeling and I went three tenths, half a second faster," he continued. 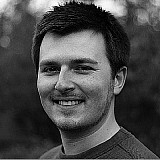 "But in the race with these hotter conditions and the unusual problems, I couldn't get the potential. "Looks like from the outside that I look for excuses, but it's unbelievable what is happening. "The only good thing is we finished the race; in Qatar 13th, here 12th. These are very bad positions but we need to look forward, to forget the past and I'm sure sooner or later we will be more lucky."